X Infotech delivered its MultiPerso Provisioning Server and Chip Encoding Server software for Latvian eID cards. Latvian eID cards enable several new services for card holders, e.g. authentication and e-signature certificate re-key or renewal, requesting encryption certificate and even installing and initialization of additional JavaCard applets to extends cards functionality in the future. Office of Citizenship and Migration Affairs (OCMA), Ministry of the Interior of Latvia. Comprehensive solution for post-issuance management, provisioning server and chip encoding. Deliver the functionality which provides remote services for eID cards. Integrate end user’s middleware, authentication server and OCMA’s. Identity Documents Information Systems. 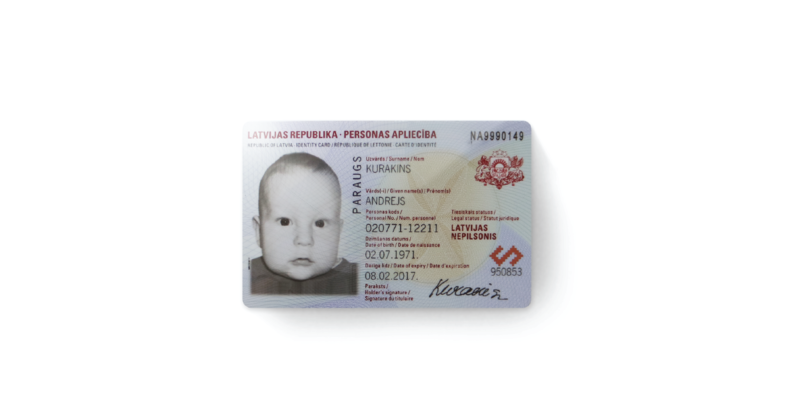 The post-issuance management solution for Latvian eID cards enables several value-added services for card holders, such as authentication and re-key or the renewal of electronic signature certificates. The implemented project facilitates the development of new eGovernment initiatives.